“Bibia Be Ye Ye” off After Ed Sheeran’s Divide album was the apparent fruit of his visit to Ghana earlier this year. However, Fuse ODG’s recently released “Boa Me” confirms that the two worked on more than just the initial track from the album. “Boa Me” features Ed Sheeran wh0 again puts his twi to the test, singing the hook in the Ghanaian language. Mugeez, one of the R2Beez’s also features on the canvassing single as they sing, “Se wo hu me na me se ma te ahwe a boa me abrantee (Ye ne boa me wai)” which translates as “When you see and I tell you I’ve fallen, help me my neighbour”. The video however features all three artists in festive spirit drinking straight from the coconut shell. At a time when people have grown confident enough to publicly share their sexual assault experience, even the Koko Master can no longer keep quiet about the social ill. A few days ago, he interrupted his performance in Enugu after noticing a woman struggling in the crowd where she was presumably being assaulted. He went as far as asking the DJ to cut the music so he could go down into the crowd to make sure she was alright. Being the energetic performer that he is though, he still managed to get the crowd rocking as soon as he made sure the victim was safe. 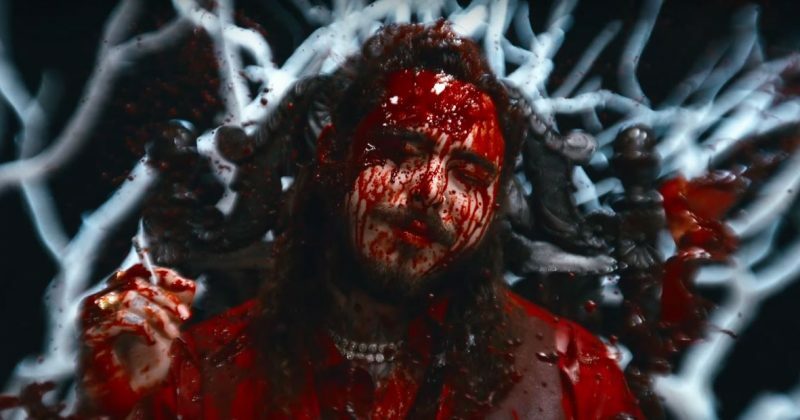 Post Malone becomes a martial arts samurai of sort in the gory video for his chart-topping single, “Rockstar” featuring 21 Savage. While the song convincingly blurred the lines separating rock stars and rap stars, the video finds Post Malone in a familiar slow-mo set experienced on “Congratulation”. This time, it’s a lot more PG18 with violent displays of slashing and bloody shots. Having shown chemistry on “Dance”, released a few weeks ago, Tellaman and Nasty C are stressing that their exuberance isn’t new for them. Initially released as a single back in July, “S A P” highlighted Tellaman’s penchant for singing with the swagger of rapper. Though the song features two of South Africa’s most prolific rappers, Nasty C and Da Les, Tellaman’s lyrical prowess still stands out and he knows it; “I Got No Chill Like Black Twitter/ Getting Bodied By A Singer”. The video directed by Nani Chehore absorbs the “Strike A Pose” theme of the song to show Tellaman, Nasty C, Da Les and models looking camera ready. Genre boxing is tricky business. Because while some artists like to think themselves as experimentalists, they also often end up stretching themselves too thin across a wide range of obscure and probably disjointed influences. But with the success of artists like Taylor Swift, Kanye and Drake whose appeal have grown exponentially following their diverse discography, it’s hard to knock anyone for trying. K.O, having made his name as a member of South African hip-hop group, Teargas, grew to be a regular feature in hip-hop conversations in Africa. His latest release, “Call Me” featuring Runtown, however, finds him in Afropop’s dancehall soundscape. Over the catchy mid-tempo beat, he performs a pseudo-romantic set but Runtown’s presence easily overshadows his. The gloomy video isn’t very inspiring for the most part but with enough plays, the catchy beat might just grow on listeners. The “Avengers” sequels have showcased Marvel’s luscious collection of characters and the latest edition, “Infinity War” promises to be the most star studded Marvel movie yet. The recently released official trailer for the movie features some of the most famous superheros; Iron Man, Spiderman, Black Panther, Thor, Captain America, Doctor Strange, Hulk, and other less recognized heros like Vision and Gruut. The trailer suggests that there’ll be three different story arcs; One in Wakanda where Captain America and a bulk of the Avengers have a Lord Of The Rings-esque battle with aliens invaders, another with Spiderman and Doctor Strange set in New York, and the last with Thor and the Guidance of The Galaxy in space.